An article appeared in The Globe and Mail a couple of days ago, and guess what my fellow vegans? It was a positive story about the vegan diet! favourable blood-sugar and weight-loss results may seem surprising." 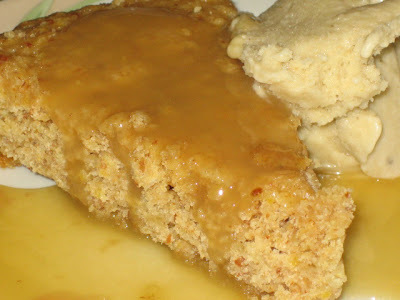 Lemony Luscious Almond Cake with Almond-Maple Sauce. Yep, another new recipe - though the ice cream on the side is from ed&bv... the scrump-dilly-licious Cashew Banana Ice-Cream! Ok, you know I was kidding about the calorie-restriction bit... I'm certainly not advocating eating vegan desserts as a means to manage type 2 diabetes (before any accusatory comments ensue)! Just having some wee fun, and sharing what I love best about being a vegan cookbook author - creating new and exciting vegan desserts! It's nice to see a positive article on veganism for once! that article is great! one of my good friends here in college was a vegetarian until recently when she confessed to me that she was adding chicken and turkey back into her diet because she wanted to LOSE weight. i was like, "WHAT?!" her reasoning was that she feels more full off of meat than she does on salad. the obvious response: don't just eat salad? i mean, shouldn't the natural response to a desire to lose weight be to go vegan? i mean, i don't restrict myself at allllll and i consume obscene amounts of peanut butter and i'm still pretty freaking skinny. i just don't get her reasoning. also, that cake looks AMAZING, do you have a prospective date/time of year for the new book?! Yay! Good things come from vegan diets! I watched your video for making the homestyle vegan chocolate chip cookies and made them. They were sooo easy and hands down the best cookies I have ever had. 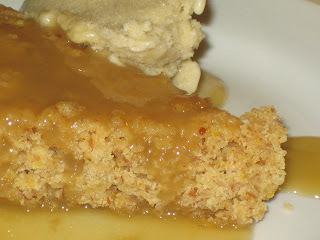 I am so happy you have a blog and I can thank you personally for such a wonderful recipe. wow, that's really interesting! everyone loves cake, so it's good news for sure! It's refreshing to finally see a positive vegan story in the news. Yay! Good luck at the Wellness Show! As a Type 1 Diabetic since becoming a Vegan I have noticed enormous improvements in my Blood glucose levels and insulin requirements which I am totally delighted about. I've also lost weight, I'd highly recommend it to all diabetics! Hooray! It's so nice to finally see something positive in the press. Made the cocoa coconut chili today like in 25-30 minutes. It was yummy and I dislike coconut and the derivatives. I did not taste the coconut so much - not overwhelmingly. Thanks!! OMG that looks sooooooooooooo good can't wait to try it! handbags, you can choose juicy couture outlet. MBT shoes are the perfect solution if you are on your feet all day long and need a good shoes. These shoes such as MBT shoes , reebok easy tone,shape ups shoes are designed for maximum comfort and help with many things like trimming off the pounds, toning your body, decreasing pain, and more.